Diatomaceous earth is touted as a pesticide that you can eat. That’s a pretty crazy claim if you think about it, but it’s not false. 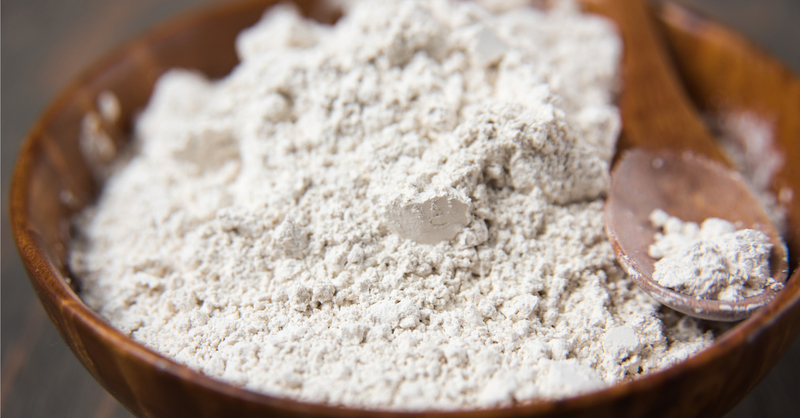 Although many people have experienced several health benefits of diatomaceous earth and ingest it on a daily basis, we are not suggesting that you try eating diatomaceous earth. But if you decide to go down that path, do your research and make sure you’re using freshwater diatomaceous earth source, clean, pure, food-grade, and does not contain more than 0.1% crystalline silica. DO NOT USE POOL GRADE DE! 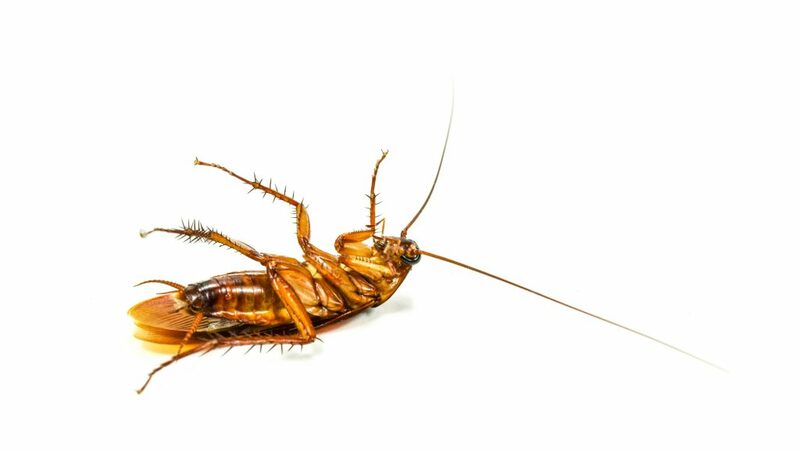 In this article, let’s dig a little deeper when it comes to pest control. 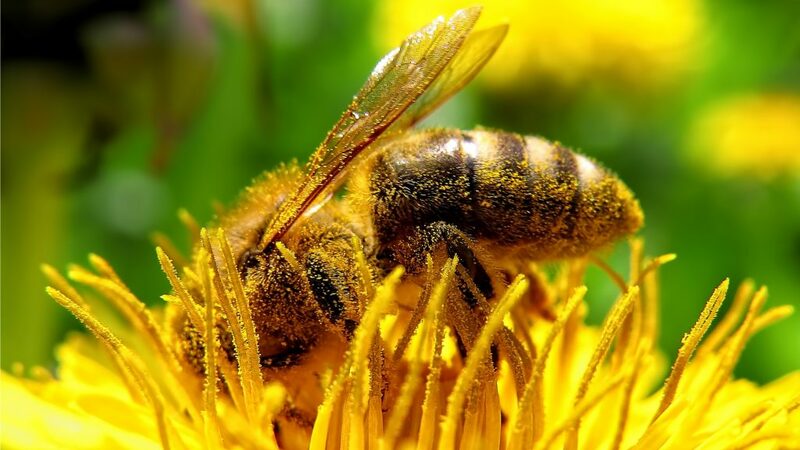 Diatomaceous earth will be effective against just about any pest that crawls, and can also be effective against pests that fly who land in it, and that does include bees so be sure to read the next section carefully. 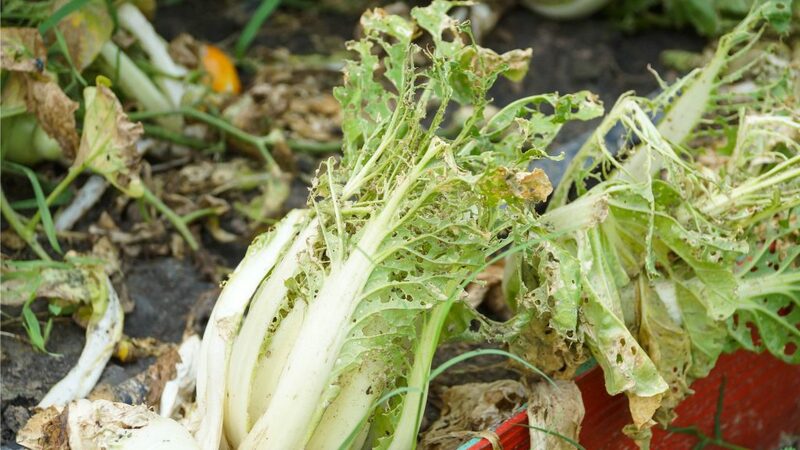 One thing to keep in mind when applying this as a pesticide is that it will be an equal opportunity killer, and can harm beneficial insects just as much as those you want to get rid of on your property. 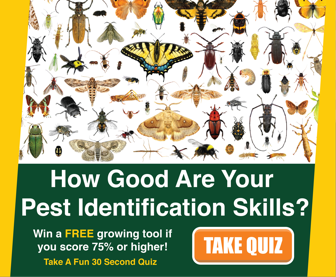 Beneficial insects like bees and caterpillars serve an important purpose in our lives. Bees and other flying nectar eating organisms are vital pollinators for our food crops. It’s helpful to keep this in mind when applying diatomaceous earth (DE) to your garden outdoors. 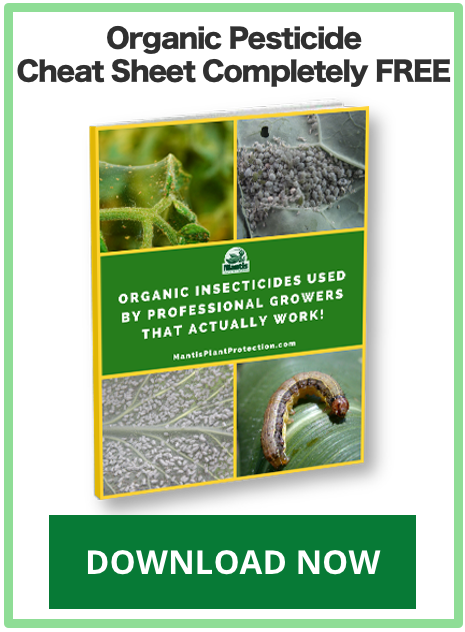 That being said… when your plants are under attack by ravenous insects and it becomes necessary to treat or watch your plants be severely damaged, diatomaceous earth is one of the best, natural insecticides that’s actually effective and poses minimal risk to bees and other important pollinators when used correctly. 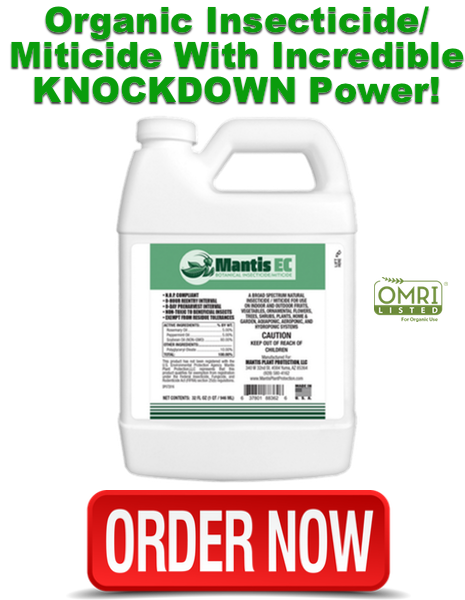 Relative to other synthetic chemical, broad spectrum, toxic insecticide alternatives, diatomaceous earth is a safe, organic, responsible, pest control tool for growers to embrace. Also try not to make applications to flowering plants but if you do, be sure to avoid getting any DE on or around the flowering parts where pollinators can be directly exposed. And if you want to take even extra care, only treat plants during the vegetative stage. When they start to flower and attract pollinators, switch to another organic pesticide with less residual activity. 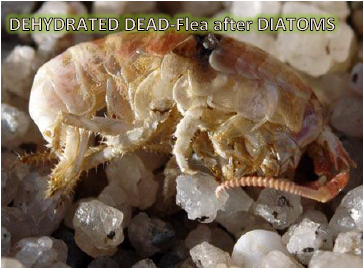 You commonly hear how diatomaceous earth (DE) consists of microscopic razor sharp silica shards that scratch and cut insect’s waxy outer layers until they desiccate and die. True, DE’s method of killing insects is a mechanical mode of action, but it desiccates insects via absorption and not cutting. 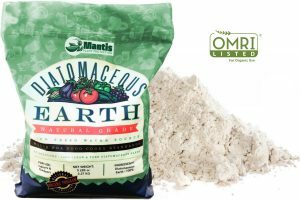 Diatomaceous earth is a powerful natural desiccant that basically dries insects up. Microscopic diatoms that makeup DE. Notice the waffle-shaped, tiny pores that provide DE’s incredible absorption power. 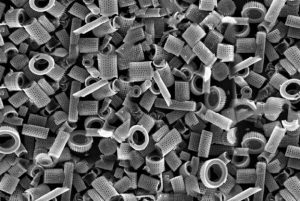 The physical makeup of DE’s diatoms contain tiny pores that create a large surface area. The greater the surface area, the greater the absorption capacity allowing DE to absorb 1.5 times its weight in water. With this special capacity to absorb both oil and water through the vast number of microscopic pores, DE completely soaks up the protective outer waxy layer of insects which causes vital organs and breathing mechanisms to stop functioning and eventually completely dries them out (desiccates). In addition, many bugs clean themselves often, and this will further irritate the waxy layer as they will be rubbing this hard and sharp material all around their body. If that’s not bad enough for the poor insects, diatomaceous earth also gums up the works so to speak. The joints of their exoskeleton also depend on this waxy layer to keep them moving smoothly. The diatomaceous earth can stick in these joints and make it so that it’s difficult for them to move forward. In addition to DE’s effective contact mode of action, it’s also a pretty good insect repellent, acting as a natural barrier to fence off unwanted insects. And as long as the treated area stays dry, DE will continue to provide effective pest control indefinitely. However for treating indoors and other dry areas, it’s recommended to reapply every 90 days or so and if using on garden plants, treat every 10-14 days. There’s no doubt about it, DE actually has very good residual control for being just an organic, natural insecticide. There are a lot of factors that go into determining about how long it takes for the diatomaceous earth to be effective in killing an insect. Some of these factors include what type of pest you’re dealing with getting rid of, the absorption capacity of your diatomaceous earth (some DE’s are more porous than others, thus work better as insecticides), the temperature of the area, and the humidity which could cause a dampening effect that will decrease the effectiveness of the diatomaceous earth. Some sources note that red ants can be dealt with in about 16 hours while it may take about five days to deal with a bed bug infestation. The key is to be persistent and to understand how not to use this as a pesticide. You may see posts online about how diatomaceous earth doesn’t work. Often, these posts are written by people that don’t completely understand how diatomaceous earth works as a pesticide. For one, they may allow it to get wet which reduces the effectiveness of this as a pesticide and allows it to be washed away. Another thing is that this is not a pesticide that can be used as bait where you put a small amount in a little pile in the hopes that the pests carry it back to their nest to help kill the nest. This pesticide works when it comes in contact with the insect so be sure to get good coverage. You may worry whether or not your use of diatomaceous earth will harm the wildlife, fish in your garden koi ponds, birds, cats, and dogs. 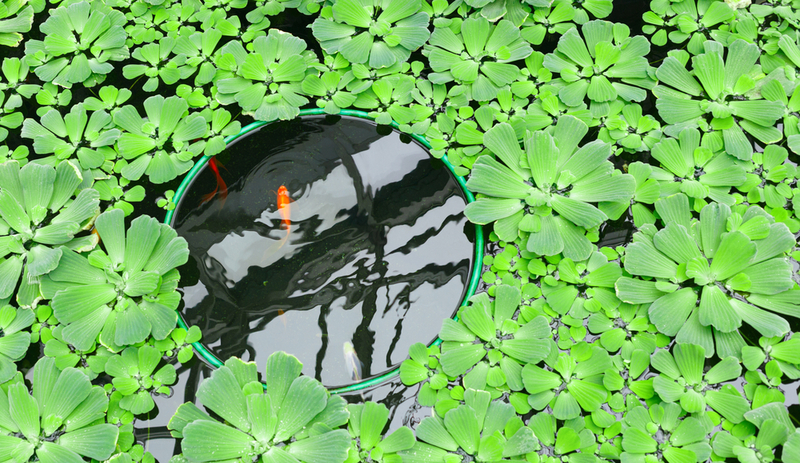 Researchers have found that diatomaceous earth is basically non-toxic to fish and other animals that can come into contact with your application of it. In fact, one study found that when chickens were fed a diet that had less silicon dioxide, which is what diatomaceous earth is made of, they had problems with the way their bones were formed. Many chicken owners love to use diatomaceous earth for their chickens as it also works on their internal and external pests. Ready to Try Diatomaceous Earth for FREE? 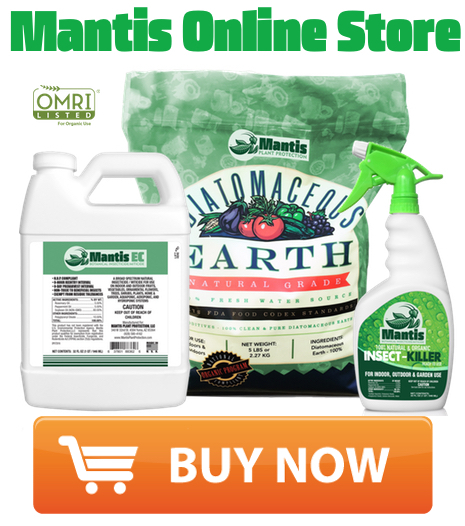 If you’d like to see how diatomaceous earth can keep your plants clean of hungry insects, we’d like to send you a FREE 5 lb bag of our Mantis Diatomaceous Earth! All we ask is that you help out with the shipping costs and this bag of DE is yours! Click here to get your bag. Our bag is 100% diatomaceous earth with no fillers, meets Food Codex Standards, certified organic, clean, pure, extremely porous (2 times better than many DE brands), and the WHITEST diatomaceous earth you’ll ever lay eyes on. 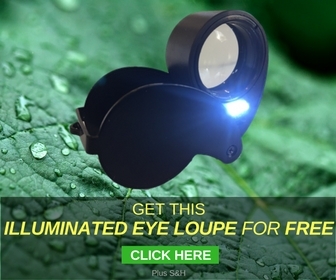 CLICK HERE to claim your FREE 5 lb bag of Mantis DE! You may think that a five-pound bag is just too big for your needs, but once you start using it, you’ll be quick to see all of the different ways to apply it. And don’t forget to check out our previous posts on how to use diatomaceous earth inside and outside of your home. Have you used diatomaceous earth successfully before?